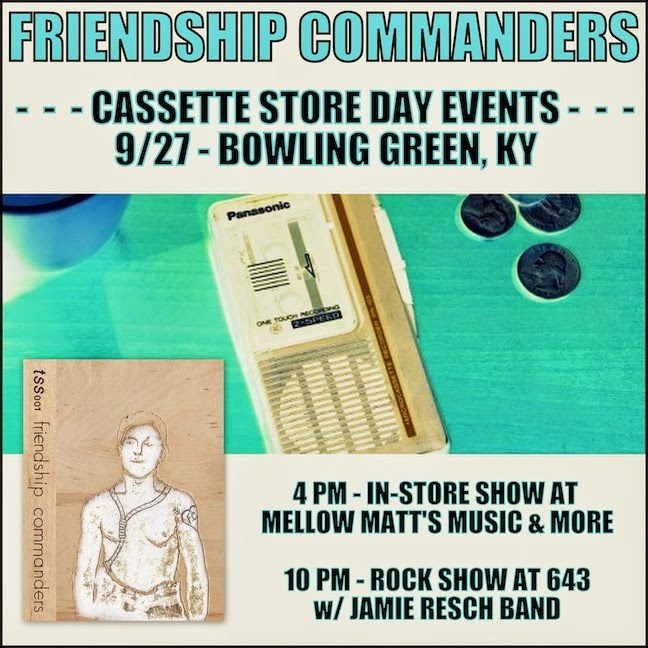 Friendship Commanders: CASSETTE STORE DAY RELEASE AND SHOWS! CASSETTE STORE DAY RELEASE AND SHOWS! Cassette Store Day 2014 is this Saturday, September 27th! Our Three-Sided-Single, "TSS001" will be out, and we're dying to send it out to you! In celebration of the release, we're heading up to Bowling Green KY to play some shows. We'll be doing an in-store performance at Mellow Matt's Music & More at around 4 p.m., and then we'll head over to 643 for a proper rock show with the Jamie Resch Band at 10 p.m.
1. There are only 150. 2. They are each hand-numbered. 3. The recordings on TSS001 will not be available anywhere else. 4. 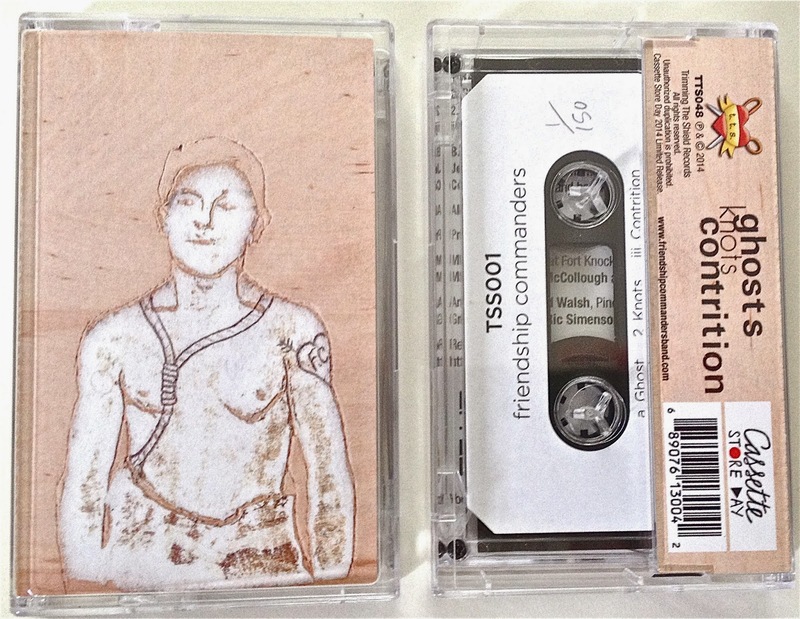 There is a free digital download code with each cassette purchase, but nowhere else. 5. We love it and hope you will too.